I'm very excited to welcome Addi from Frugal Fanatic to the blog today! Addi has such a great blog with SO many money saving tips, so be sure to hop on over after reading this post and check out all her good stuff. In the meantime, you are going to love her tips on how to build your savings account from scratch! Finding ways to save money and increase your savings account can be extremely difficult especially if you are living paycheck to paycheck. Whether you are looking to increase your savings account for a vacation or are trying to save for your child’s college it is a vital part of your financial well-being. Having a savings account can help in the case of an emergency, job loss, or help you reach financial goals. 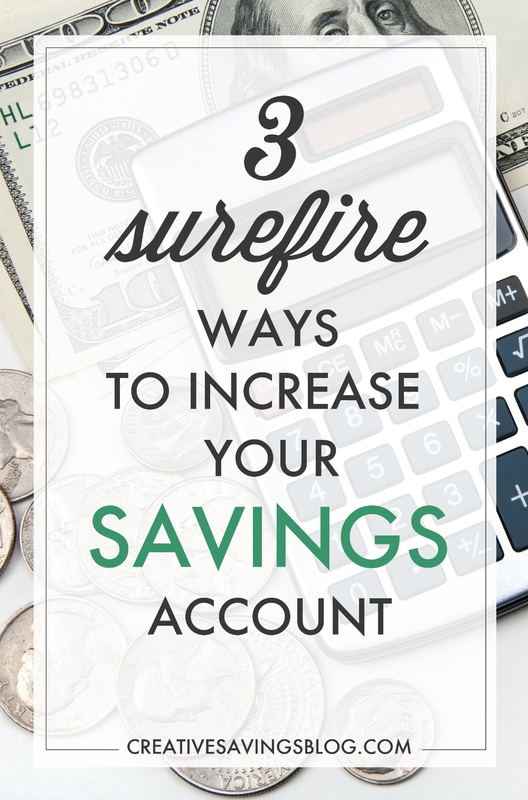 If you are trying to save money but are having trouble then take a look at these 3 surefire ways to increase your savings account. Whenever someone asks me how they can begin to save money I always reply with having a monthly budget. The reason why I am so adamant about having a budget is because most people do not pay attention to where they are spending their income each month. Often time it is unnecessary spending. Having a budget forces you to be accountable for the money you are spending, and it makes it easier to keep track of your income and expenses to prevent overspending. Once you have a budget in place you will be able to see exactly how much money is spent on groceries, bills, entertainment and any other monthly expenses. Your budget will display the totals each month so you can visually see where your money is going. This is a great way to learn how and where you can cut back. You can look at each category and see which expenses are unnecessary. You can also include your savings account on your budget and designate a particular amount on from each paycheck to go into your savings account. Not only will you be able to add money each month, but you can see what extra money you have at the end of the month and decide how much you can afford to add to your savings account. This will help to steadily increase your savings. If you're new to the whole concept of budgeting, you might want to reference Kalyn's series, The Beginner's Guide to Budgeting, to help you create a budget from start to finish. 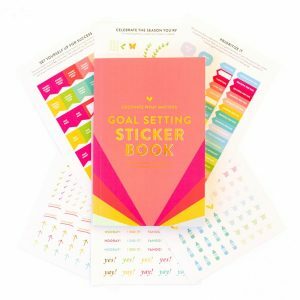 Having goals not only helps to keep you on track, but they help to provide motivation each month. If you are not sure where to start when it comes to financial goals, I recommend starting small. A small goal could be paying off a credit card or even paying for your child’s sports equipment. A large goal could be saving to have enough money for a downpayment for a house or paying for a car in full. These goals do not have to be immediate. Saving money takes times, so you could make monthly goals and yearly goals. Having specific savings goals tend to motivate you more because you can see just how much your hard work is paying off each month. Not only can this help you to save more money, but most people can save it faster because they are working towards their goals and do not want to get sidetracked. A great way to jump start your savings account is to have the amount you are saving from each paycheck directly deposited into your savings account. When you do your budget each month, your savings account should be listed first, right along with your regular bills. By having direct deposit, you ensure that money goes into your savings account each pay period, no matter what. Your savings account gets paid first, so you never have a chance to spend the money instead. It is a great way to help discipline yourself if you are not good at budgeting your money and will help your savings grow consistently. This may seem difficult, but the amount that you add is your choice. After you have figured out your budget and know how much money you can add to your savings account, it will get easier. Think of it like another bill that needs to be paid every month and putting that money into your account is mandatory. Having direct deposit setup will prevent you from using any extra money you have because you never actually have that money in your checking account so you never have access to spend it. No matter how hard it is to save, making some minor changes can really help your financial future. Planning ahead and understanding your income and expenses can really go a long way. Use these 3 surefire ways to jump start your savings account and get on the road to financial stability. What are some ways you've been able to increase it? Want more tips for how to manage money better? Check out this page for 60+ more tips! 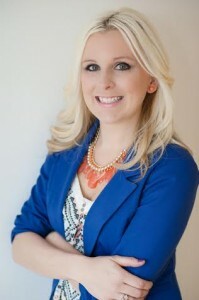 Addi Ganley is a full-time blogger and writer at Frugal Fantic where she offers a fresh perspective on frugal living and provides various options to earn an income from home. She focuses on how to make money both full-time and part-time, and teaches people about money management on a tight budget. Connect with her on Pinterest, Facebook and Twitter. I agree 100% that a budget is the best way to save money! My husband and I started a budget from the beginning of our marriage and we’ve been amazed at how much we can save, give and be more intentional with how we spend. We actually LOVE to budget! Thanks for the post! Over time, I’ve come to recognize that the only way I can keep any savings is to plan my direct deposit to split my checks 80/20. I only see that twenty percent when I log in to my savings account at home (which is never), and I’ve accumulated a healthy emergency fund by ignoring my income! I could budget, but… let’s be real, I enjoy online shopping more! I agree with you on budgeting. Making a budget every month and sticking to it can help manage your expenses. It will also help limit overspending and stress spending. Budget is a great way to keep track of your money to know how much you have spent and how much you actually earned. Loved Sandy’s idea of putting money where you can’t see, it is a actual a great way to have an emergency fund.